Who says prog is dead? In fact it’s undergoing somewhat of a resurgence, and there is no better modern exponent than the band Big Big Train, whose music I’ve been greatly enjoying lately. For those young’uns who only listen to muzak cobbled together from drum machines and auto-tuned vocals, check out the bizarre spectacle of real musicians playing real instruments! And then be further astounded by the fact that this is the first time these musicians have toured live together. Oh, and that’s the incredible Dave Gregory, ex-XTC, on guitar. After two embarrassing years—and, with delicious irony, a shorter term than either Gillard or Rudd—that idiot Abbott has finally been kicked to the sidelines where he belongs. Hopefully that brings one of the most disgraceful periods in the history of Australian politics to an end, and the country can once again look to the future and not the past. Prior to The Telltales, one of the bands I played in was called The Future Eaters. We released one CD that sank without trace (not that we promoted it that much). Here we are playing a song called Pop Song to a virtually non-existent crowd at The Three Weeds, Rozelle, Sydney, on a Sunday afternoon on the 11th February, 2000. I vividly recall that about five years ago that if anyone had even suggested the possibility that Tony Abbott would ever be Prime Minister of Australia they would have been laughed out of the room. He was constantly derided as the conservative Catholic mysogynist idiot who was the laughing stock of the Liberal party, a man who couldn’t open his mouth without exposing his own backward conservative prejudices. Well congratulations Australia, in your desperate need to have someone in power who can take society back to some imaginary conservative 50s wonderland, you’ve voted him in. Two years ago I vowed I would leave the country if Abbott became PM. Well, it seems I’m a man of my word—I now live in New Zealand and I’m glad to be gone. Australia is a land of swinging voters who can’t see past short-sighted, uncosted election promises and don’t give a hoot about policies that help society and the environment if they in any way affect their own back pockets. This is a man who three years ago though climate change was “absolute crap”. Who thinks “abortion is a tragedy”; who thinks women should be in the home doing housework … oh, just check out some other quotes by this idiot and try not to weep. Australia, you deserve someone like Abbott, frankly. Good luck. It’s been a long time coming, but finally the entire Telltales music catalogue is on iTunes, downloadable at the click of a button. 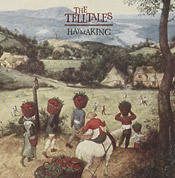 If you missed any the first time around, click the links below to buy the three albums: The Telltales, Haymaking and Under the Waterline. And thanks, from The Telltales. Another old Telltales video—this one of a semi-acoustic performance at the Exchange Hotel, Balmain, Sydney, in August 2005. As noisy drummer I was relegated to filming duties. It’s a shame that we took so little live footage of this band, but this is a nice snapshot of its quieter side. The songs are My Father’s Things, Cornflower Girl, Absolve You, The Phone Call, Christmas Day, I’m No Fool, Flying Juice, I Won’t Be There, Memory, and It’s Over. Harry Harryhausen, the master of spot-motion animation, died the day before yesterday aged 92. I’m old enought to count the skeleton fight from Jason and the Argonauts (released in 1963, two years before I was born) as one of the most seminal visual experiences of my youth. I can’t imagine how much this one scene has influenced my imagination and my life. I consider it brilliant in every way—that stunning, slow lead up, the sudden break into screaming violence, the frenetic music, the incredible personality that he managed to inject into those articulated puppets. Genius. Rest in peace sir, you inspired generations. Long, long overdue, I finally uploaded the first Telltales single to YouTube, which for some strange reason was never done at the time. 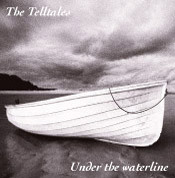 Absolve You was the first and only ‘single’ off our 2003 debut CD, The Telltales. 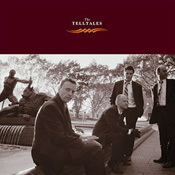 You can find out more about The Telltales, currently in hiatus after three CDs of damn good songs, at the band’s website. I’ve been using Adobe software since the very first versions, and I’ve bought just about every single upgrade they’ve released over the life of the company. Throughout my entire working career, some 25 years, I’ve paid Adobe tens of thousands of dollars to use, in essence, three programs: Illustrator, Photoshop and inDesign. But that’s not enough to satisfy the greed of this company. Now that they have virtually complete control over the graphics software market, Adobe wants to abuse that monopoly by getting access to my wallet every month. And if I continue in my profession and want to continue using their software, they want money from me every month for the rest of my life. Adobe is stopping development on their Creative Suite and making their ‘Creative Cloud’ the only option for users of their software. No longer will I be able to buy the software, I’ll have to rent it. And as soon as the money tap turns off, I won’t be able to use it anymore, because the software checks in every month to see that I’m still paying. This has got to stop! I remember when Adobe stopped providing a manual with their product; replacing it first with PDF documents, and finally with an online mish-mash of user videos and badly designed Help pages. I remember being amazed that I was till paying the same amount to upgrade, but the physical manual had been taken away, and what a huge amount of money the company had just made for itself by doing so. But imagine the cash Adobe will be raking in now—no more physical product, no physical distribution, no local support, reduced piracy (piracy, I might add, that often leads to later purchasing)—just lots and lots of lovely regular cash from everyone’s Visa cards, in return for a lot of useless twiddling and bloated ‘features’ that you use in real-world situations about 0.2% of the time. Because every design professional knows that Adobe upgrades—even the more regular ones we’ll supposedly be getting now version numbers will be done away with—are 90% useless bloat. I’ve been here since version one, and I know how fundamentally different the programs are now from the initlal releases. Strip out all the bells and whistles and you’re pretty much left with multiple redo, the history palette, and layers as the only game-changing improvements over all those years. These programs still quit and freeze, and the interfaces are a primitive, outdated mess. But the bottom line is, we cannot live in a world where companies have a hotline to our wallets. If this business model continues we’ll all be paying out huge sums of money every month, locked in to vendors churning out mindless marketing spin as they increase their monthly kickback in return for nothing. Adobe don’t want to give us quality software at a reasonable price; they want to be the next Facebook. It’s essential that we let Adobe know now that this forced subscription model is completely unnacceptable. Don’t sign up to the Creative Cloud. Let CS6 become the last version we use if necessary, and hope that some company has the foresight to take on Adobe and beat it at its own game. As soon as that alterative is available, it will have a ready-made audience of millions of disaffected and exploited Adobe users eager to switch. 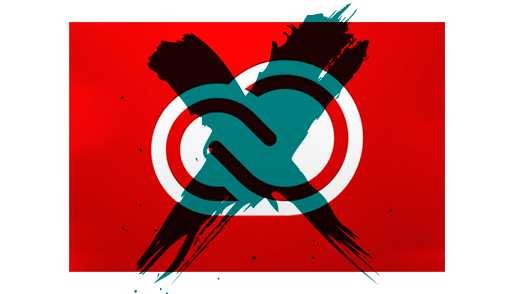 Don’t sign up to the ‘Creative Cloud’. Let Adobe know we won’t put up with this abuse. Update: Make your voice be heard—sign the petition! Some gamers may know that I’ve uploaded some 200 rules summary and reference sheets to Boardgamegeek over the last 8 years which have proved very popular, and those sheets were gathered together at this blog. When I was younger, I used to carry around my collection of games in cardboard boxes from share house to share house, and apart from a few fledgling attempts at foamcore box inserts and some figure painting, I didn’t lavish too much attention on them or care about their condition too much. But as I’ve got older I began to cherish my ever-growing collection more and more. It started with designing rules summary sheets so I didn’t have to read through the whole rulebook everytime I’d forgotten how to play a game. I began making foamore box inserts for every game box. They were even developed to double as trays that could be used during the play of the game. Any miniatures had to be painted to a high standard. I inked the edges of counters with a black marker to make them look better. In the meantime I was uploading the sheets to Boardgamegeek for other people to use. And eventually, work met hobby and I began finding clients among the major boardgame publishers and designing for games like Tales of the Arabian Nights, Aztlán and Ninjato. All in all, you could say tabletop gaming has become a big part of my life. Now, I’ve finally created a stand-alone site to host not only all my sheets, but articles, reviews, and lots of stuff to help gamers enhance and enjoy the kind of thematic games I love. The Esoteric Order of Gamers (www.orderofgamers.com) is a place for the few who, in a world of ephemeral, digitally-driven entertainment, still revel in the feeling of tearing the shrinkwrap off a new game; of breathing in the sweet smell of fresh ink; of the weight of quality gaming components as they sit heavily in the hand. Those people who are strangely impelled to improve their gaming experience by dint of hard graft coupled with the sensitive touch of a master craftsman, and who continually seek to beautify these precious objects. In short, those dedicated to high standards in their tabletop gaming! In the months to come I’ll be adding instruction sheets for build-your-own foamcore box inserts; articles and photographs to help paint your game figures; more reviews and blog posts of interest; and of course always expanding and perfecting the huge collection of premium summary sheets that help you get into and enjoy your gaming faster. Players can comment on each game and make suggestions or corrections for the sheets, and of course engage in discussions about the articles. 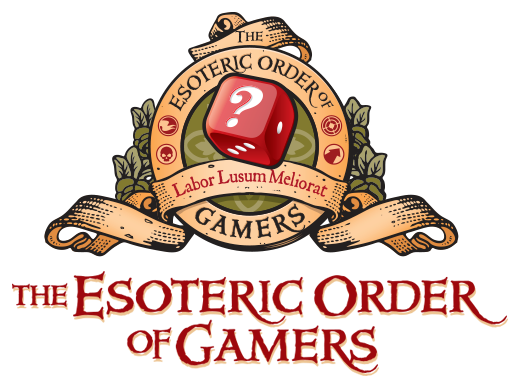 But for now, allow me to extend an invitation and a profound welcome: join us at The Esoteric Order of Gamers! We all have website hosting fees. but in no way expected.